This book comprises 20 leading Finnish futurists revealing their practical and theoretical knowledge of futures studies. The texts are a cross-section of twenty years of futures research. The writers present methods and their practical applications, demonstrating various interactions between futures research and other fields of science. The book samples a large variety of modern futures studies’ methodology including sections on evolutionary and systems thinking, expert-based knowledge evaluation and time-series based methods like Delphi and Causal Layered Analysis (CLA). The book also deals with communicative futures methods such as futures workshops and scenario work. In addition, it includes three chapters focusing on newer methods such as the anticipation of Weak Signals and Black Swans. This book is a comprehensive reading for all those interested in futures studies theory and its practical applications. 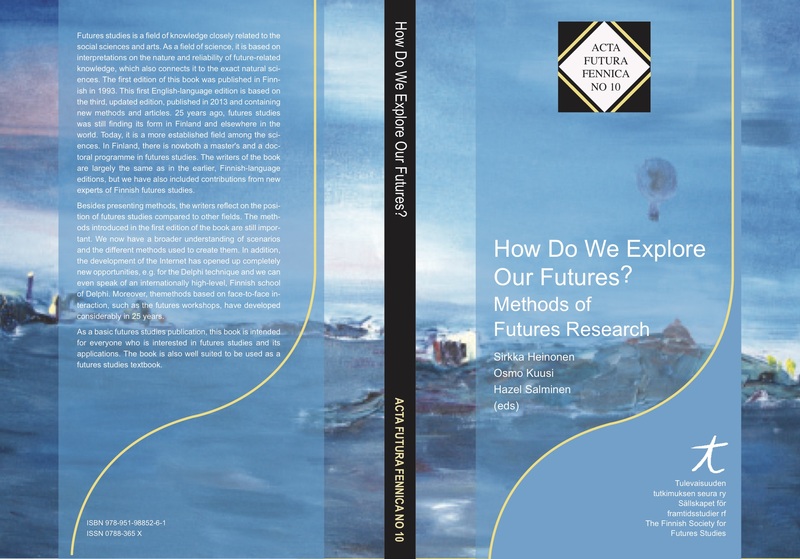 As a fundamental publication of futures studies methods this book is also suitable for lecture support material for universities. 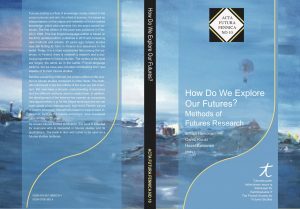 The purpose of the book is to familiarize the reader with the idea of futures studies and the basic methods of futures as a scientific discipline. We hope that the readers will find this publication and its arguments a stimulating trigger, launching creative argumentation about our responsibility to imagine alternative futures. This book, How Do We Explore Our Futures?, is an English edition based on the 3rd revised edition (2013) of the Finnish 1993 original Miten tutkimme tulevaisuutta?. The book will be published in English as an answer to increasing international demand for Finnish original contributions to the fields of Futures Studies and Foresight. Price: 45 euro + postage (discounted price 40 euro for members of the Finnish Society for Futures Studies). If you experience problems with the online shop payment system, please contact us and we will send you an invoice instead: toimisto@futurasociety.fi. Thank you! Ilkka Niiniluoto: Futures Studies: A Science or Art? 13. Tarja Meristö: Scenario Building in Strategic Management–Why Scenarios?